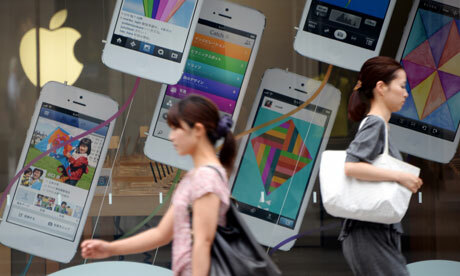 Pedestrians walk past advertisements for the iPhone 5 at the Apple store in central Tokyo. Apple breaks with its own convention on Tuesday, with what is expected to be the launch of two new iPhones - breaking from its tradition of a solitary current-generation iPhone model. One is likely to be a cheaper model called the iPhone 5C, but the latest premium model, the iPhone 5S, is rumoured to come in multiple colours, with high-end specifications and possibly even a fingerprint reader. Here's a quick rundown of the major predictions before the event, at 1800 BST on Tuesday. As with the iPhone 5C, mobile phone operator leaks have indicated that Apple is maintaining its current iPhone naming scheme, sticking with the solitary number and variations to denote upgraded iPhone models. Given that the alternative iPhone is highly likely to be called the iPhone 5C, the 5S moniker could be another differentiator for Apple's next flagship phone. Ever since the iPhone 3G launched, in 2008, Apple has offered its smartphones in two colours, black and white. 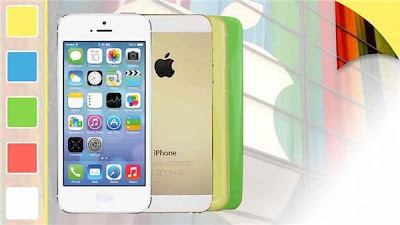 Recent part leaks from Apple's manufacturing partners in China have indicated that Apple will launch the iPhone 5S in more colours including a gold, or "champagne", model, which could make sense in terms of Apple's attempt to secure market share in Asia. It is highly probable, given the competition from the likes of the Samsung Galaxy S4, with its 13-megapixel camera, that Apple will improve the current 8MP camera from the iPhone 5 to at least 13 megapixels. Apple has a history of redesigning the look of its flagship phone only every other generation, improving the specifications and inner components without altering the case design on the outside significantly. Both part leaks and previous actions suggest that Apple will stay true to form and release the iPhone 5S with improved insides while maintaining the iPhone 5's design with subtle tweaks. Recent rumours have it that Apple may build a fingerprint reader into the iPhone 5S, possibly under the traditional home button, to boost the iPhone's security credentials. In theory, such an addition could allow password-free access into the phone with a quick swipe of a finger across the home button at the bottom of the phone; it would tie in with Apple's purchase of AuthenTec, a company that specialised in fingerprint sensors. Apple has steadfastly avoided putting near-field communication in its mobile devices to date, instead preferring on-screen barcode systems such as Apple's PassBook. So rumours that Apple could build NFC chips into the iPhone 5S are unlikely to be fulfilled, based on the company's past actions. Wireless charging has come along way in recent years, to becoming more mainstream. Many phone manufacturers, including Nokia and Samsung, provide wireless charging capabilities for their flagship phones, either built directly into the body or via additional cases or accessories. Apple could build in wireless charging support into the iPhone 5S, although this is highly unlikely, given its strict control of the lucrative authorised accessories market. Recent reports suggest Apple is experimenting with large-screened phones, typically referred to as phablets. While Apple may be working on larger phones, it is highly unlikely that this would change the screen format of the iPhone 5S, especially at this late stage. With a falling share price and speculation that the Apple has lost its innovative edge, the iPhone 5S needs to be another stellar seller to answer the calls from Wall Street and silence the naysayers in the wider media.